Luxury lies behind every front door of Amara City Gardens. Each stylish apartment has been designed with spacious open-plan living and plenty of room for relaxation and entertaining. In your gourmet kitchen, you’ll find stylish reconstituted stone benchtops and premium Smeg appliances, including a stainless steel oven, rangehood and gas cooktop, perfect for cooking up any cuisine. The built-in dishwasher and generous storage make entertaining a dream. Beautifully appointed bathrooms feature resort-style tiling , designer vanities and chrome fixtures. In the bedrooms, expansive mirrored robes provide ample storage, while maintaining a feel of streamlined elegance. 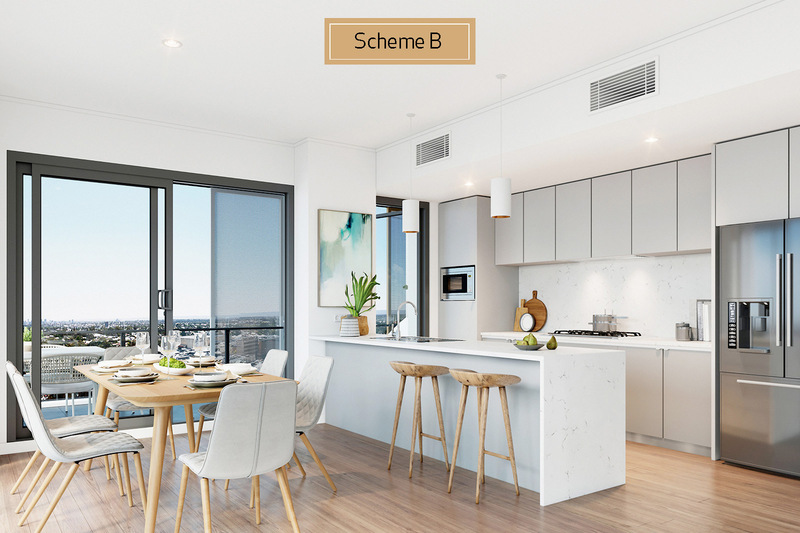 Your generous balcony lets you enjoy views of the surrounding lush gardens and leafy streetscapes, and for some, sweeping vistas of the Perth skyline and beautiful Swan River.